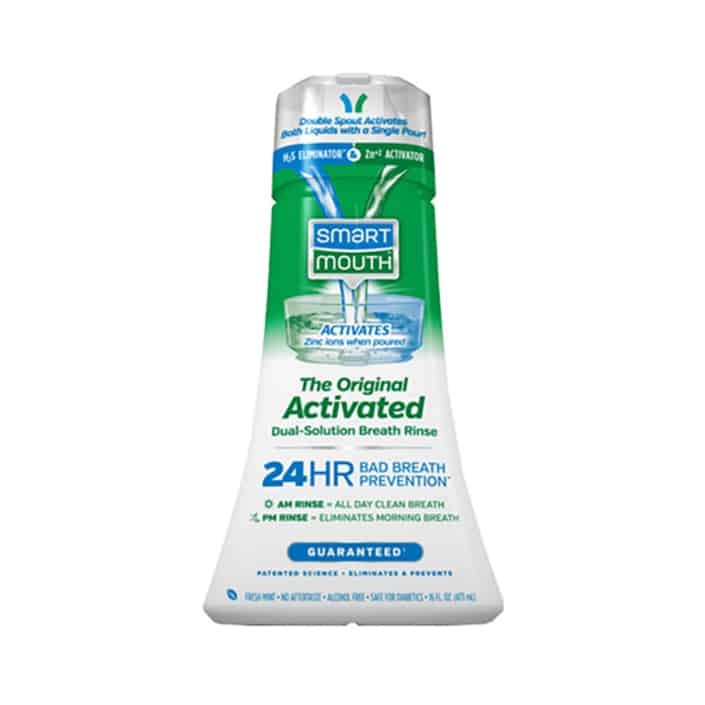 Pursuing a plan to continue to increase brand awareness and build sales, SmartMouth Oral Health Laboratories has begun advertising its line of premium bad breath prevention oral rinses on iHeartRadio’s highly rated Bobby Bones Show. Building on its successful run of national television ads, SmartMouth is expanding its reach in the national radio market with a series of 60 second live and prerecorded ads. The spots, voiced by Bones, tout the unique chemistry behind SmartMouth’s oral rinses that eliminates and prevents bad breath for 24 hours. The science Burch is referring to is zinc ion technology that results when the two SmartMouth solutions are mixed together forming zinc ions that bind to naturally occurring bacteria in the mouth to prevent the formation of sulfur gas. This foul-smelling sulfur gas is the real cause of bad breath. Rinsing with SmartMouth activates zinc ions that stop the production of sulfur gas, and bad breath, for 12 hours per rinse. So, when used in the morning and again at night, SmartMouth can provide bad breath protection for 24 hours. The Bobby Bones show airs live on iHeartRadio weekdays from 5-9 a.m. CST. Bones leads an ensemble cast that includes Amy, Lunchbox, Eddie, Ray, Morgan II and Mike D. Since it is syndicated on nearly 100 stations, the show reaches three million listeners nationwide each weekday. And, the show often features famous country music stars such as Taylor Swift, Carrie Underwood, Blake Shelton, Luke Bryan, Florida Georgia Line, Keith Urban and more as special guests. 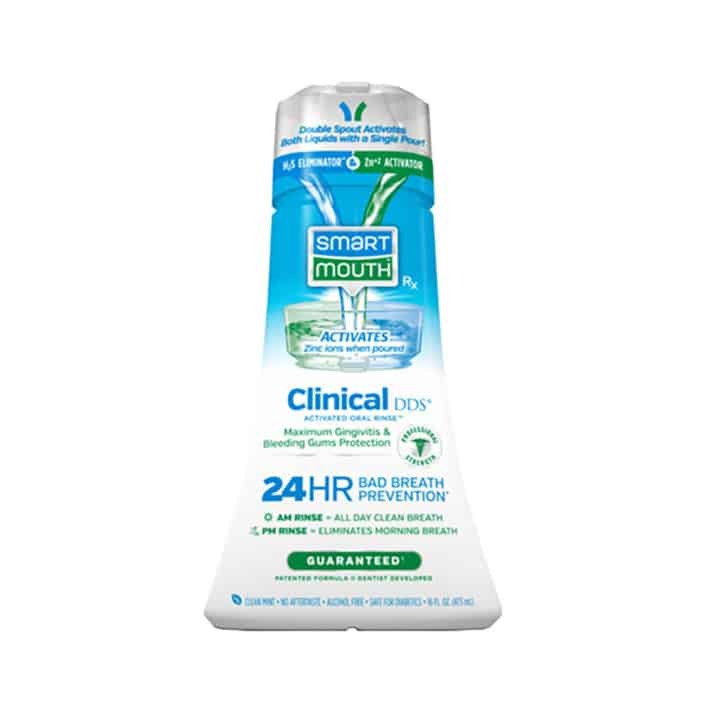 Visit the products page to find out more about SmartMouth’s full line of bad breath protection products and how they can stop bad breath for 24 hours. Available in three formulas, Original Activated, Clinical DDS, and Dry Mouth, SmartMouth can be found at most drugstores and supercenters including Walmart, CVS, Walgreens, Target, Publix and Albertsons, and online at Amazon.